Did you get a toaster oven hoping to make smaller meals for one or two people? But now you’re having trouble finding pans that will fit in it? We’ve been there too and have tried A LOT of different pans. Some we already had but didn’t consider at first and others we’ve picked up over the years. 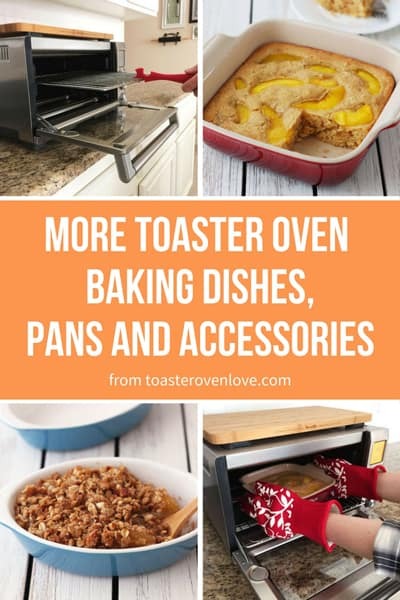 Check out the posts below for toaster oven pan and accessory ideas to help you get the most out of your toaster oven. After retiring all of our glass casserole dishes we looked around for suitable replacements and happily discovered more than a few good candidates. In this post, we share the best baking dishes we use in our toaster oven along with some new metal pans and fun toaster oven accessories! Read more about toaster oven baking dishes here. 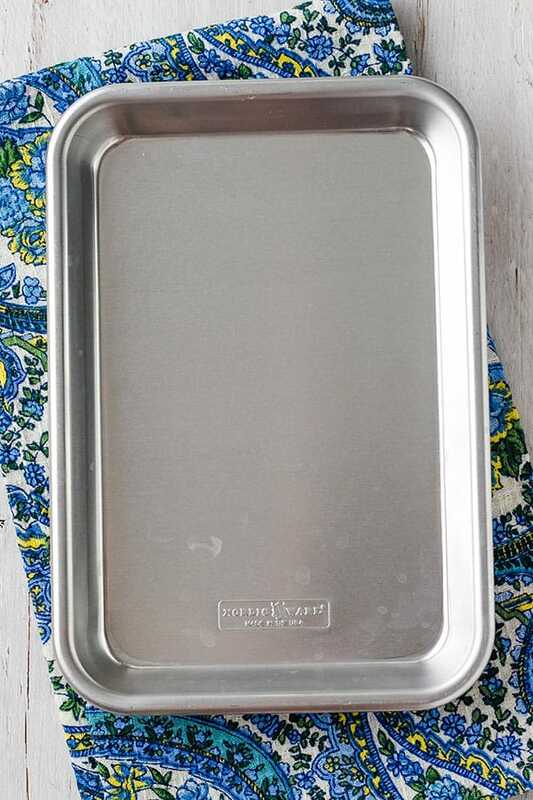 This small baking pan is great for any size toaster oven but is a perfect fit for smaller ovens. From toasting nuts, making a quick baked sweet potato or a batch of nachos for one, you can do so much with this one little pan! Read more about this small toaster oven baking pan here. 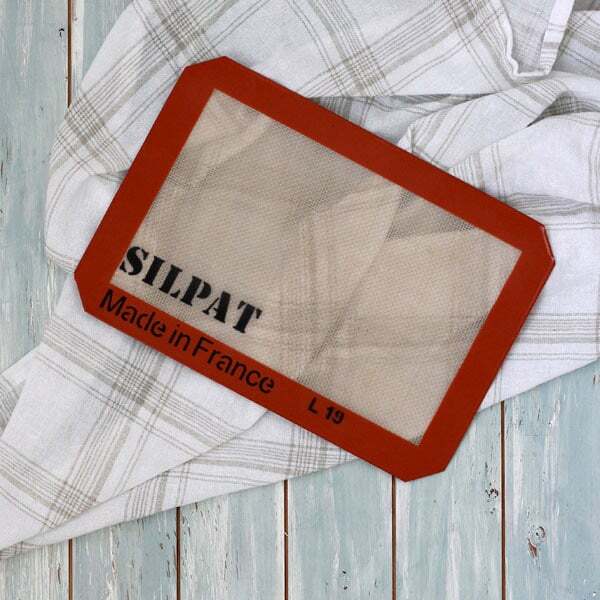 Silicone baking mats are incredibly versatile and a great oil-free alternative when baking cookies or roasting vegetables. In this post, we break down all of the benefits, along with the Do’s and Don’t of using a silicone baking mat in your toaster oven. Read more about toaster oven silicone baking mats here. What Are The Best Toaster Oven Pans? Discover the 3 toaster oven essentials everyone should have along with our favorite metal toaster oven pans. Read more about the best toaster oven pans here. Many recipes call for covering your dish while baking but finding toaster oven-safe covered casserole dishes is harder than you’d think. Check out our top picks and some great reader suggestions! 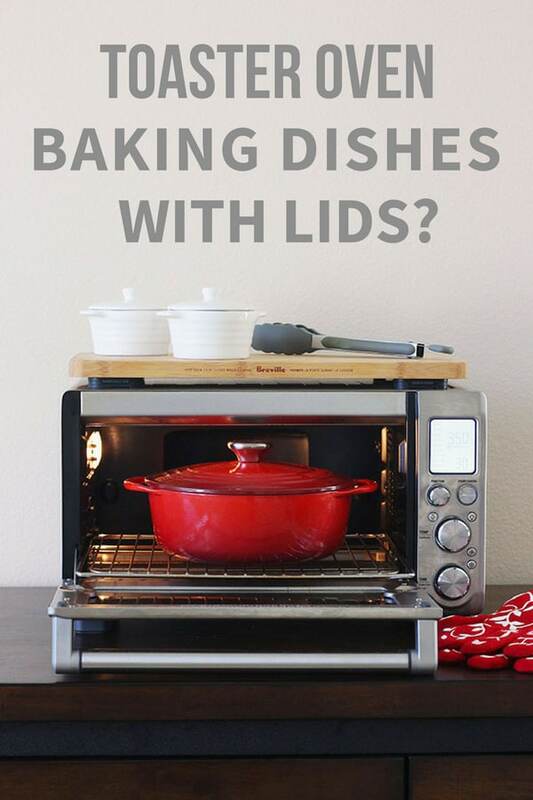 Read more about shopping for toaster oven baking dishes here.